Kesugi Ridge, in Denali State Park, is a trail system that delivers—but probably not what you expect. Everyone hopes for the quintessential Denali views, but more often fog shrouds the ridge, leaving only rock cairns guiding the way, or a raging storm spits cold, wet hikers back out at a trailhead earlier than planned. That’s what happened last summer when I tried Kesugi in late July. Our group gathered at the Little Coal Creek trailhead, the northernmost access point to the ridge trail, on an overcast day and climbed slowly uphill, packs laden with four days of provisions. Walking on the exposed ridge all day left us exhausted and happy, and we made camp near the 8-mile mark. Rain pelted us as we fired up camp stoves and quickly gulped down freeze-dried fare. Wind snapped at our tents; we dove in and tried to sleep in the growing fracas. Emerging one by one the next morning, we yelled to be heard over the storm. A tent had collapsed and flooded. Cooking breakfast was out of the question. Our rain gear remained soaked. I’d been planning this excursion for months, but with conditions deteriorating, we decided to return to our cars rather than forge ahead and risk another miserable night. Sideways rain whipped our moods into submission; heavy packs and meager rations eaten in haste turned us gloomy, yet focused. Some hiked faster than others and I looked back repeatedly through fog and wind and rain, barely able to see, to the last two people to make sure they still followed. I tried to wait but there was no shelter and as soon as I’d stop, my fingers would go numb inside sopping gloves and I’d start shivering. I nearly turned back once to check on their progress, but they appeared once more, tiny colorful smears on the raging landscape. Fast forward one year. Again, I planned to backpack Kesugi Ridge, but with caveats from last year’s attempt: wait for decent weather and keep the group small. This time we had just three days to play, so we began at the Ermine Hill trailhead and planned to descend from the ridge at Byers Lake. The forecast looked auspicious, and we reached Kesugi Ridge in good spirits. Denali, in all her glory, towered over her minions, the obvious queen of the continent. What the guidebooks barely mention about the junction of Ermine Hill and Kesugi Ridge trails is that you just crest the ridge before plunging back down into a brushy, muskeggy valley via a steep path. And although the way seems obvious where it snakes through an alpine rock formation that’s straight out of a Star Trek episode, it drops so suddenly off the far edge that you, like some of us, might question the route and explore the area in circles, as others have surely done, evidenced by weaker trails tangling off toward the ridgetop, thinking it must go this other way, because why on earth would they cut the trail way down in the valley when there is a perfectly good ridge right here? 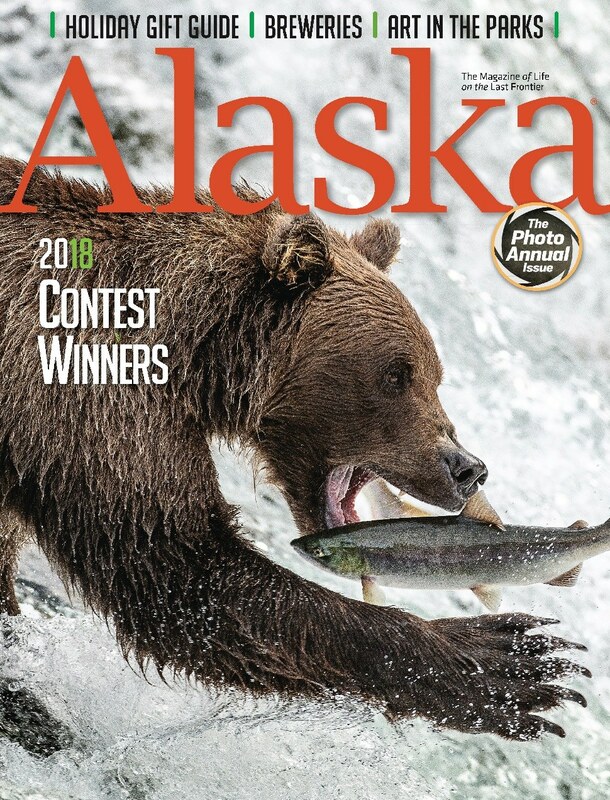 You might, like some of us, recall reading something about some ups and downs along this section, but since none of you brought a map or a trail description and, being long-time Alaskans who’d been hearing about Kesugi for years, figured you knew where the trail went. A brutal wind howled through the massive rocks beside us, catching our backpacks and knocking us sideways. As we followed the cairns and what surely looked like the main trail downward and out of the wind, snippets of other descriptions floated up in my consciousness, something about elevation loss after just having gained it. The sun grew hotter and the vegetation higher. Bugs bit the back of my sweaty neck. We started hollering “Hey bear!” Often. Four hours later, we sat on one of two new tent platforms at Skinny Lake, cooking dinner and relishing how light we felt without our packs. The next day was true, spectacular ridge walking. Denali, from her bright white perch, watched us as we wound around rocky knobs, dipped our toes in cool blue ponds, and stopped to photograph a rare patch of iris amid a sea of tundra green. A thunderstorm chased us into our tents that evening but only briefly. At 3:30am, the sun kissed Denali’s head and at 6am, two young bull moose appeared at vista’s edge, curious about the two-legged interlopers. Another perfect day followed, erasing Kesugi’s prior record from my psyche. As we neared the Cascade Trail that leads down to Byers Lake, we lingered, not yet ready to give up our places. I thought maybe I should never come back because I’d likely not be so lucky again—with weather, good company, Denali. I could remember Kesugi like this. But that idea didn’t last long, and I’m already dreaming again. Maybe next time, I’ll get to hike the whole ridge, despite its valleys and volatile weather. 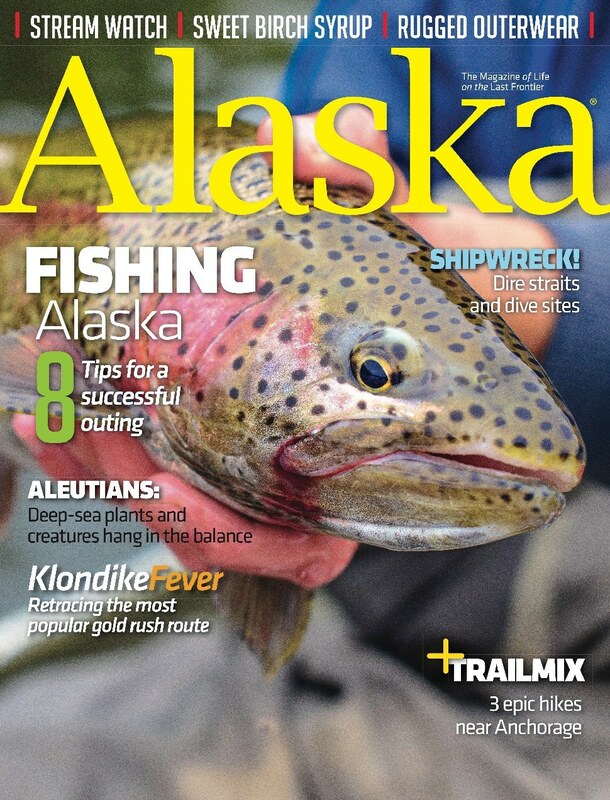 Well written and informative article by someone totally tuned in to what Alaska has to offer for the serious trekker. Thank you, Stephen. Glad you liked it! We hiked North Kesugi ridge the weekend of July 16th 2015 with my 11yr old daughter. Had plans to turn around after 2 miles if the weather was bad. We got pounded by 80 degree weather. Better than rain but we welcomed the wind when it came. My daughter had a 25 lb pack. She was tired at the end of the 17.9 miles which we hammered out in a full day…mainly because we wanted out of the heat. It’s a great hike. Like my post, would not had taken my daughter on this hike if I had known how sketchy some of the traverses over Boulder fields were. Also would not attempt this hike in the rain. Some of those slopes would be almost deadly. But Denali did peak out for us about 8AM Saturday morning as we hiked out of Ten Mile Tern. Glad you got to see Denali, however briefly. 17.9 miles in one day is a long hike!